Next Week’s football schedule, PrepXtra Rewind; Maxpreps Local Rankings … And tell us who we should focus on next? Check out our Maxpreps Made Easy Widget for Tribune Football Fans. If coaches are posting rosters, updating stats and standings, this is the most useful SGV widget there is. Check it out, makes following your teams and area leaders simple. Bishop Amat game story: Bishop Amat overcame a two-touchdown deficit and Adrian Ortega overcame two early fumbles to rebound with three interceptions and two touchdowns to lead the Pac-5s eight-ranked Lancers to a 38-28 upset over sixth-ranked Santa Margarita in the season opener at Kiefer on Friday. “I had to come back,” Ortega said. “I had to make up for it (fumbles). 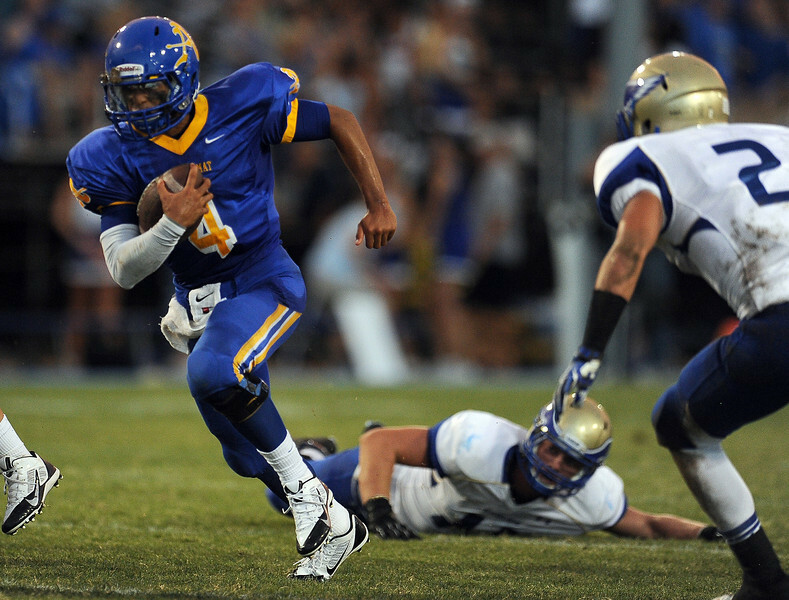 I owed it to my team, to everybody.” Amat quarterback Koa Haynes returned from a so-so first half to light up in the second, finishing with 275 yards and a game-clinching touchdown to Tyler Vaughns with 1:47 left to ice it. Maranatha 41, Bassett 21 — Hey, it could have been worse. Wilson 22, Bosco Tech 14 — Solid win, Bosco usually tough. Don Lugo 27, Walnut 0 — Not a good sign, could be a long season. Diamond Ranch 33, Chino 6 — Another crushing Hacienda league win. Keppel 22, Ganesha 18 — These aren’t your same old Aztecs. Duarte 28, Valley Christian 24 — Huge win for Falcons …Montview favorites? Former San Dimas running back and Valle Vista League MVP Jake Payton who left San Dimas for Upland in the spring before transferring to Bonita last Friday, has been cleared to play for Bonita by the CIF-Southern Section with a valid change of address. Payton was declared ineligible at Upland because San Dimas challenged citing athletic motivation. 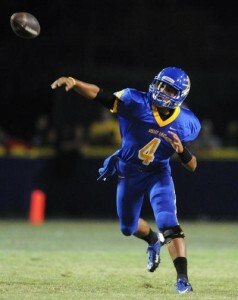 It appears San Dimas did not challenge Payton’s move to Bonita. That’s right, the Smudge Pot is on tonight! Bonita gets back Smudge: There was no fantastic finish at the 41st Smudge Pot game between Bonita and San Dimas High schools. That’s the way the Bearcats, who were on the wrong side of an amazing ending last season, like it. Rookies are not supposed to do what Peter VanDerEb did Thursday night. Making his first start in his first high school football game, the Northview High School quarterback passed for 161 yards and two touchdowns to lead the Vikings to a 40-0 victory over Ontario in the season opener for both teams at Covina District Field. QB — Koa Haynes, Bishop Amat, Sr.
RB — Avery Duffus, Rowland, Sr.
WR — Cordell Broadus, Diamond Bar, Jr.
WR — Kanya Bell, Diamond Bar, Jr.
OL — Jordan Austin, Claremont, Sr.
OL — Frank Vierra Jr., Bishop Amat, Sr.
OL — Mike Green, Chino Hills, Sr.
OL — Marco Garcia, West Covina, Sr.
OL — Dominic Johnson, South Hills, Sr.
ALL — Estuardo Marcos, Los Altos, Sr.
K — Tristan Vizcaino, Damien, Sr.
DL — Eric Prevost, Charter Oak, Sr.
DL — Christian Moran, Bishop Amat, Sr.
DL — Kammy Delp, Diamond Ranch, Sr.
DL — Christian McQueen, Bonita, Sr.
LB — Anthony Camargo, Bishop Amat, Jr.
LB — Dillon Fink, Glendora, Sr.
LB — Joe Provenzano, Damien, Sr.
DB — Chazz Eldridge, Chino Hills, Sr.
DB — Mitchell Giles, San Dimas, Sr.
DB — Sidney Jones, West Covina, Sr.
DB — Donavin Washington, Charter Oak, Sr.
P — Jose Valdivia, Arroyo, Sr.
Could former San Dimas running back and Valle Vista League MVP Jake Payton be eligible at rival Bonita in time for Thursday’s Smudge Pot? 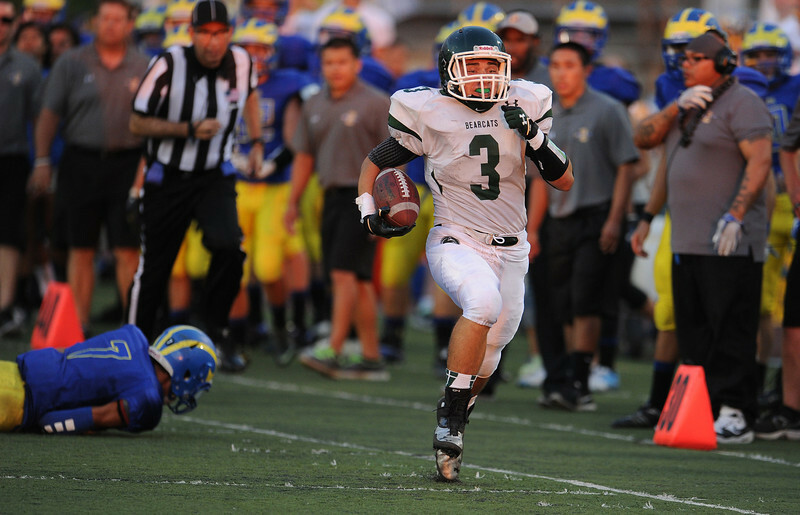 Payton left San Dimas for Upland in the spring before transferring to Bonita last Friday. Bonita filed the paperwork to CIF and is waiting on San Dimas, the last school Payton played for, to sign off or challenge because of athletic motivation, as it did in Payton’s move to Upland, which led to his ineligibility because of an athletically motivated transfer. CIF’s website this morning changed Payton’s status from “pending” to “under review.” So, all I can say is, stay tuned. 9:05 update: Just got a text from CIF-SS spokesperson Thom Simmons who wrote Payton’s status is “under review” because they’re missing necessary paperwork. Hmm, wonder who hasn’t turned it in. Your guess is probably the same as mine. 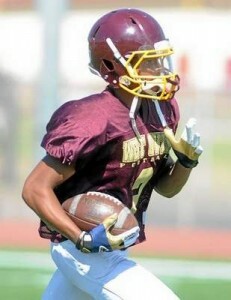 Friday, Los Altos at Arroyo, 7 p.m.